Prior to using the Rollerderbyathletics.com and RDA Service, it is important for you to know and understand that by visiting the Site and/or using the Service, you are agreeing to accept certain liability limitations and legal and health disclaimers, which we further explain throughout this Agreement. In other words, your use of the Rollerderbyathletics.com and RDA Service is at your own risk, and we do not assume any liability, or make any warranties of any kind, express or implied, with respect to the Service or your use of the Service. NOTHING STATED OR POSTED ON THE ROLLERDERBYATHLETICS.COM AND RDA SERVICE IS INTENDED TO BE, AND MUST NOT BE TAKEN TO BE, THE PRACTICE OF MEDICAL OR PROFESSIONAL ADVICE OR CARE. YOUR USE OF THE ROLLERDERBYATHLETICS.COM AND RDA SERVICE IS AT YOUR OWN RISK. ROLLERDERBYATHLETICS.COM AND ANYONE ASSOCIATED WITH ROLLERDERBYATHLETICS.COM SHALL NOT BE LIABLE FOR ANY LIABILITY, OF ANY KIND, RESULTING FROM THE USE OF THE ROLLERDERBYATHLETICS.COM AND RDA SERVICE. AGE REQUIREMENT: You must be at least 18 years old to use the Rollerderbyathletics.com and RDA Service. YOU SHOULD CONSULT YOUR PHYSICIAN OR OTHER HEALTH CARE PROFESSIONAL BEFORE STARTING THIS OR ANY OTHER EXERCISE OR NUTRITION PROGRAM TO DETERMINE IF IT IS RIGHT FOR YOUR NEEDS. THIS IS PARTICULARLY TRUE IF YOU (OR YOUR FAMILY) HAVE A HISTORY OF HIGH BLOOD PRESSURE OR HEART DISEASE, OR IF YOU HAVE EVER EXPERIENCED CHEST PAIN WHEN EXERCISING, SMOKE, HAVE HIGH CHOLESTEROL, OR HAVE A BONE OR JOINT PROBLEM THAT COULD BE MADE WORSE BY A CHANGE IN PHYSICAL ACTIVITY. DO NOT USE THE ROLLERDERBYATHLETICS.COM AND RDA SERVICE IF YOUR PHYSICIAN OR HEALTH CARE PROVIDER ADVISES AGAINST IT. DO NOT USE THE ROLLERDERBYATHLETICS.COM AND RDA SERVICE IF YOU ANSWER ‘YES’ TO ANY OF THE FOLLOWING QUESTIONS: 1. Has your doctor ever said that you have a heart condition OR high blood pressure? 2. Do you feel pain in your chest at rest, during your daily activities of living, OR when you do physical activity? 3. Do you lose balance because of dizziness OR have you lost consciousness in the last 12 months? Please answer NO if your dizziness was associated with over-breathing (including during vigorous exercise). 4. Have you ever been diagnosed with another chronic medical condition (other than heart disease or high blood pressure)? 5. Are you currently taking prescribed medications for a chronic medical condition? 6. Do you currently have (or have had within the past 12 months) a bone, joint, or soft tissue (muscle, ligament, or tendon) problem that could be made worse by becoming more physically active? Please answer NO if you had a problem in the past, but it does not limit your current ability to be physically active. 7. Has your doctor ever said that you should only do medically supervised physical activity? IF YOU ANSWER YES TO ANY ONE OR MORE OF THE PRECEDING QUESTIONS, CONSULT YOUR PHYSICIAN OR OTHER HEALTH CARE PROFESSIONAL BEFORE USING THIS SERVICE TO DETERMINE IF IT IS RIGHT FOR YOUR NEEDS. THE ROLLERDERBYATHLETICS.COM AND RDA SERVICE OFFERS HEALTH AND FITNESS INFORMATION AND IS DESIGNED FOR INFORMATIONAL PURPOSES ONLY. NOTHING STATED OR POSTED ON THE ROLLERDERBYATHLETICS.COM SITE OR AVAILABLE THROUGH ANY RDA SERVICES IS INTENDED TO BE, AND MUST NOT BE TAKEN TO BE, THE PRACTICE OF MEDICAL, PROFESSIONAL OR COUNSELING CARE. FOR PURPOSES OF THIS AGREEMENT, THE PRACTICE OF MEDICINE AND COUNSELING INCLUDES, WITHOUT LIMITATION, PSYCHIATRY, PSYCHOLOGY, PSYCHOTHERAPY, OR PROVIDING HEALTH OR NUTRITION CARE, TREATMENT, INSTRUCTIONS, DIAGNOSIS, PROGNOSIS OR ADVICE. YOU SHOULD NOT RELY ON ANY INFORMATION ON THE ROLLERDERBYATHLETICS.COM AND RDA SERVICE AS A SUBSTITUTE FOR, NOR DOES IT REPLACE, PROFESSIONAL MEDICAL ADVICE, DIAGNOSIS, OR TREATMENT. IF YOU HAVE ANY CONCERNS OR QUESTIONS ABOUT YOUR HEALTH, YOU SHOULD ALWAYS CONSULT A PHYSICIAN OR OTHER HEALTH-CARE PROFESSIONAL. DO NOT EVER DISREGARD, AVOID OR DELAY OBTAINING MEDICAL OR HEALTH RELATED ADVICE FROM YOUR HEALTH-CARE PROFESSIONAL BECAUSE OF SOMETHING YOU MAY HAVE READ ON THE SERVICE. THE USE OF ANY INFORMATION PROVIDED ON THE SERVICE IS SOLELY AT YOUR OWN RISK. THE ROLLERDERBYATHLETICS.COM SITE AND RDA ALL-STAR ACCESS MEMBERSHIP IS CONTINUALLY UNDER DEVELOPMENT AND MAKES NO WARRANTY OF ANY KIND, IMPLIED OR EXPRESS, AS TO ITS ACCURACY, COMPLETENESS OR APPROPRIATENESS FOR ANY PURPOSE. IN THAT REGARD, DEVELOPMENTS IN MEDICAL RESEARCH MAY IMPACT GENERAL HEALTH, FITNESS AND ADVICE. NO ASSURANCE CAN BE GIVEN THAT THE INFORMATION CONTAINED ON THE ROLLERDERBYATHLETICS.COM SITE WILL ALWAYS INCLUDE THE MOST RECENT DEVELOPMENTS WITH RESPECT TO THE PARTICULAR MATERIAL. (i) no physician has ever informed you that you have a heart condition or that you should only do physical activities recommended by a physician; (ii) you have never felt chest pain when engaging in physical activity; (iii) you have not experienced chest pain when not engaged in physical activity at any time within the past several months; (iv) you have never lost your balance because of dizziness and you have never lost consciousness; (v) you do not have a bone or joint problem that could be made worse by a change in your physical activity; (vi) your physician is not currently prescribing drugs for your blood pressure or heart condition; (vii) you do not have a history of high blood pressure, and no one in your immediate family has a history of high blood pressure or heart problems; and (viii) you do not know of any other reason you should not exercise; or (B) your physician has specifically approved of your use of Rollerderbyathletics.com and RDA Services. If applicable, You further affirm that (A) you are not pregnant or (B) your physician has specifically approved your use of Rollerderbyathletics.com and RDA. Rollerderbyathletics.com and RDA provides Service on an “as is” and “as available” basis. You therefore use the Rollerderbyathletics.com and RDA Service at your own risk. Concerning sites and resources outside of the Rollerderbyathletics.com and RDA Service, even if linked to from the Rollerderbyathletics.com and RDA Service. RDA reserves the right to modify Rollerderbyathletics.com and RDA. You are responsible for providing your own access (e.g., computer, mobile device, Internet connection, etc.) to the Rollerderbyathletics.com and RDA Service. Rollerderbyathletics.com and RDA has no obligation to screen or monitor devices. To the extent that a secondary party may have access to or view Rollerderbyathletics.com and RDA content on your computer or mobile device, you are solely responsible for informing such party of all provisions, terms, disclaimers and warnings in this Agreement. To the extent any disclaimer or limitation of liability in this Agreement does not apply, all applicable express, implied, and statutory warranties will be limited in duration to a period of thirty (30) days after the date on which you first used the Rollerderbyathletics.com and RDA Service, and no warranties shall apply after such period. Rollerderbyathletics.com and RDA does not warrant or guarantee any content and does not guarantee that any content made available on the Rollerderbyathletics.com and RDA Service complies with this Agreement or is suitable for all users. Rollerderbyathletics.com and RDA shall not be responsible for loss or corruption of data, and hereby waives all claims with respect to damage to your computer system, internet access, download or display. To the fullest extent permitted by law: (i) in no event shall Rollerderbyathletics.com and RDA, nor its affiliates, be liable for any direct, indirect, incidental, special, consequential, punitive, or exemplary damages, including but not limited to damages for personal injury, death, loss of livelihood, loss of enjoyment, pain and suffering, emotional distress, loss of profits, loss of future earnings, goodwill, use, and/or any other damages or other intangible losses; and (ii) RDA’s, and its affiliates’ total liability to you shall not exceed the amounts paid by you to Rollerderbyathletics.com and RDA over the twelve (12) months preceding your claim(s). REGISTRATION: To fully use the RDA Service, you must register as a member by providing a user name, password, valid email address and valid credit card information. You must provide complete and accurate registration information to Rollerderbyathletics.com and notify us if your information changes. Rollerderbyathletics.com may investigate and take any available legal action in response to illegal and/or unauthorized uses of the Site or the Service. Auto billing; Subscription Fees. The All-Star Access Membership Service is a paid, auto-renewing subscription service. If you purchase a subscription, you are agreeing to automatic (recurring) billing, and agree to pay the charges made to your account in connection therewith. Your Subscription will continue indefinitely until cancelled by you. You will be charged in accordance with the billing terms you agreed to at the time you signed up. If you do not wish for your account to renew automatically, or if you want to change or terminate your subscription, first log into your account, and then select the “My Account” then click “Subscriptions”, in red next to the Subscription is “Cancel” option, which you can click and then confirm by selecting the “Confirm” button. By signing up for the All-Star Access Membership Service you are agreeing to have your credit card automatically billed each period until you cancel your subscription. You may cancel your RDA subscription at any time, but note that your cancellation will take effect starting at the end of your current billing period. So, for example, if you have a monthly subscription and cancel mid-month, your cancellation will take effect as of the following month. There are no refunds on RDA subscriptions for billing periods that have already lapsed or started, except as explicitly stated in our satisfaction guarantee as published on the rollerderbyathletics.com Site, which may be updated from time to time without updating this agreement. We offer Subscriptions for monthly terms and longer terms (for example, 3 months, 6 months or even a year). These longer-term Subscriptions are charged in full upon purchase, and automatically renew for the same duration as the initial Subscription term you selected (for example, if you initially purchased a 3 month Subscription, your Subscription will automatically renew for three months; 6 month subscriptions will automatically renew for six months, and so on). The amount due for the next renewal term will be due and immediately payable in full and charged as of the first day of such renewal term. You can always cancel before your next renewal term by logging into your account. Authorization. When you sign up for our Service and provide a payment method to RDA, you are granting your express consent and are expressly authorizing us (and our designated payment processor) to automatically charge you each month for the Service. EVEN IF YOU DO NOT USE THE SUBSCRIPTION OR ACCESS THE RDA WEBSITE OR APPLICATION, YOU WILL BE RESPONSIBLE FOR ANY SUBSCRIPTION FEES UNTIL YOU CANCEL YOUR SUBSCRIPTION OR IT IS OTHERWISE TERMINATED. Changes. RDA may change, modify, add, remove, suspend, cancel or discontinue any aspect of it subscriptions including the functionality, content, and/or availability of any features of such subscriptions at any time in RDA’s sole discretion. RDA may increase its fees for any subscription effective the first day of a billing renewal by giving you notice of the new fees at least thirty (30) days before you are billed. If you have and do not cancel your subscription, you will be deemed to have accepted the new fees. Please review the Cancellation Policy to learn more about how to cancel or place a hold on your account. TERM: This Agreement begins on the date you first use the RDA Service and continues as long as you have an account with us. CANCELING YOUR SUBSCRIPTION: To cancel your subscription, you will need to first log into your account, and then select “My Account” then click “Subscriptions”, in red next to the Subscription is “Cancel” option, which you can click and then confirm by selecting the “Confirm” button. A notification will be located at the top of the screen confirming that you have canceled your account. A email will be sent to the email address we have on file for that subscription confirming the cancellation has gone through. You can also cancel by going into your Account Settings (located in the header under your profile name), navigating to the “Manage Subscription” tab and scrolling down where you will find the link to cancel. ACCOUNT DELETION: You may delete your account at any time. We reserve the right, but are under no obligation to, to delete an account from the RDA Service that remains inactive (i.e., the user fails to log in) for a continuous period of at least six (6) months, or immediately when payment expires, is withdrawn or otherwise ceases. TERMINATION FOR BREACH: RDA may suspend, disable, or delete your account (or any part thereof) or block or remove any content you submitted if RDA determines that you have violated any provision of this Agreement or that your conduct or content would tend to damage RDA’s reputation or goodwill. If RDA deletes your account for the foregoing reasons, you may not re-register for the RDA Service. RDA may block your email address and Internet protocol address to prevent further registration. RDA is not required to disclose, and may be prohibited by law from disclosing, the reason for the termination or suspension of your account. EFFECT OF TERMINATION/ACCOUNT DELETION: Upon termination, all licenses granted by RDA will terminate. Sections 4-5, 9, and 12-18 shall survive termination. In the event of account deletion for any reason, content that you submitted may no longer be available. RDA shall not be responsible for the loss of such content. RDA has the right, but not the obligation, to monitor all conduct on and content submitted to the RDA Service. RDA reserves the right to alter, edit, remove, or refuse to post any content, in whole or in part in its sole discretion and/or to satisfy or comply with applicable laws, regulations and/or legal processes. RDA reserves the right, in its sole discretion, to investigate and take appropriate legal action against anyone who violates our Terms, including removing the offending communication from the Site or Service and terminating or suspending the membership of such violators. Your use of the Site and Service, including all Content you post through the Service, must comply with all applicable laws and regulations. You agree that RDA may access, preserve and disclose your account information and Content if required to do so by law or in a good faith belief that such access, preservation or disclosure is reasonably necessary, such as to: (i) comply with legal process; (ii) enforce this Agreement; (iii) respond to claims that any Content violates the rights of third parties; (iv) respond to your requests for customer service or allow you to use the Site in the future; or (v) protect the rights, property or personal safety of the Company or any other person. As between you and Rollerderbyathletics.com, you own all content that you submit to the Rollerderbyathletics.com Service, whether directly via the Rollerderbyathletics.com, RDA Service or indirectly (for example, via Facebook or Twitter). However, it is important that you understand that by posting a submission to Rollerderbyathletics.com or RDA, you are granting Rollerderbyathletics.com, RDA and its affiliates a worldwide, perpetual, irrevocable, non-exclusive, sub-licensable (through multiple tiers) royalty-free license and right to use, copy, transmit, distribute, publicly perform and display (through all media now known or hereafter created), and make derivative works from your content (including without limitation, your name and likeness, photographs and testimonials) for any purpose whatsoever commercial or otherwise without compensation to you. In addition, you waive any so-called “moral rights” or “performance rights” in your content. You further grant all users of the Rollerderbyathletics.com and RDA Service permission to view your content for their personal, non-commercial purposes. If you make suggestions to Rollerderbyathletics.com on improving or adding new features to the Rollerderbyathletics.com or RDA Service, Rollerderbyathletics.com shall have the right to use your suggestions without any compensation to you. For each piece of content that you submit, you represent and warrant that: (i) you have the right to submit the content to Rollerderbyathletics.com and grant the licenses set forth above; (ii) RDA will not need to obtain licenses from any third party or pay royalties to any third party; (iii) the content does not infringe any third party’s rights, including intellectual property rights and privacy rights; and (iv) the content complies with this Agreement and all applicable laws. You agree to indemnify, defend, and hold harmless Rollerderbyathletics.com, RDA and its affiliates, directors, officers, employees, and agents, from and against any liability, claims, damages, losses and costs (including reasonable attorney’s fees) that: (i) arise from your activities on the Service; (ii) assert a violation by you of any term of this Agreement; or (iii) assert that any content you submitted to Rollerderbyathletics.com violates any law or infringes any personal right or third party right, including any intellectual property or privacy right. Rollerderbyathletics.com reserves the right to assume the exclusive defense and control of any matter otherwise subject to indemnification by you, in which event you will fully cooperate with Rollerderbyathletics.com in connection therewith. LICENSE: RDA grants you a limited, non-exclusive license to access and use the RDA Service for your own personal, non-commercial purposes. This includes the right to view content available on the RDA Service. This license is personal to you and may not be assigned or sublicensed to anyone else. RESTRICTIONS: Except as expressly permitted by RDA in writing, you will not reproduce, redistribute, publicly display, sell, create derivative works from, decompile, reverse engineer, or disassemble the RDA Service. Nor will you take any measures to interfere with or damage the RDA Service. All rights not expressly granted by RDA are reserved. Your use of the RDA Service through any applications or device constitutes your agreement to be bound by these Terms. Any RDA application existing now or in the future, regardless of the manner and means in which it is downloaded (for example the Apple AppStore, Google Android Marketplace, your console’s app store, etc.) is licensed, not sold, to You for use only under these Terms. We, the licensor, reserve all rights not expressly granted to You. 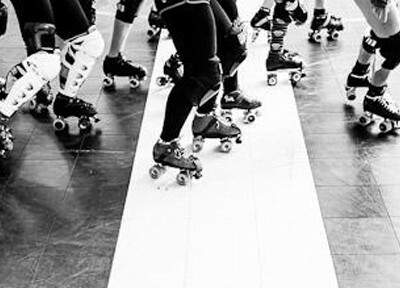 entering into this contract with Roller Derby Athletics governing your use of the application. Certain links on the Rollerderbyathletics.com and RDA Sites and/or the Rollerderbyathletics.com and RDA Service may let you leave the particular Rollerderbyathletics.com and RDA Site or Rollerderbyathletics.com and RDA Service you are accessing in order to access a linked site (the “Linked Sites”). When you are linking to a third party site, it is important to know that Rollerderbyathletics.com and RDA does not control these sites, nor has Rollerderbyathletics.com and RDA reviewed or approved the content which appears on the linked sites. Rollerderbyathletics.com and RDA is not responsible for the legality, accuracy or nature of any content, advertising, products or other materials on or available from any linked sites, or the conduct of such linked sites. You acknowledge and agree that Rollerderbyathletics.com and RDA shall not be responsible or liable, directly or indirectly, for any damage or loss caused or alleged to be caused by or in connection with the use of any of the links, content, goods or services available on or through the linked sites. More specifically, your participation, correspondence or business dealings with any third party found on or through the Rollerderbyathletics.com and RDA Sites and Service (i.e., a linked site), regarding payment and delivery of specific goods and services, and any other terms, conditions, representations or warranties associated with such dealings, are solely between you and such third party. You agree that Rollerderbyathletics.com and RDA shall not be responsible or liable for any loss, damage, or other matters of any sort incurred as the result of such dealings. You acknowledge that the Rollerderbyathletics.com and RDA Site and Services contain software, graphics, photos, videos, know-how, product ideas, comments and other material (collectively, “Content”) that is protected by copyrights, patents, trademarks, trade secrets or other proprietary rights, and that these rights are valid and protected in all forms, media and technologies existing now or hereafter developed. All Rollerderbyathletics.com and RDA-generated Content and Content developed for Rollerderbyathletics.com and RDA by its partners and licensors is copyrighted individually and/or as a collective work under the Canadian Copyright Act; further, Rollerderbyathletics.com and RDA owns a copyright in the selection, coordination, arrangement and enhancement of all Content in the Rollerderbyathletics.com and RDA Site. Subject to your compliance with these Terms, and solely for so long as you are permitted by us to access and use the Services, you may download one copy of the content associated with your purchase or subscription to any single computer or device for your personal, non-commercial home use only, provided you keep intact all copyright and other proprietary notices, and are in compliance with these Terms. Unless otherwise specified, modification of the Content or use of the Content for any other purpose, including use of any such Content on any other website or networked computer environment is strictly prohibited. The Rollerderbyathletics.com and RDA name, logos and affiliated applications and technologies are the exclusive property of Rollerderbyathletics.com and Roller Derby Athletics. All other trademarks appearing on the Services are trademarks of their respective owners. Our partners or service providers may also have additional proprietary rights in the content which they make available through the Services. The trade names, trademarks and service marks owned by us, whether registered or unregistered, may not be used in connection with any product or service that is not ours, in any manner that is likely to cause confusion. Nothing contained on the Services should be construed as granting, by implication, estoppel or otherwise, any license or right to use any of our trade names, trademarks or service marks without our express prior written consent. Rollerderbyathletics.com and RDA owns and retains all proprietary rights in the Site and the Service, and in all content, trademarks, trade names, service marks and other intellectual property rights related thereto. You agree to not copy, modify, transmit, create any derivative works from, make use of, or reproduce in any way any copyrighted material, trademarks, trade names, service marks, or other intellectual property or proprietary information accessible on the Site or through the Service, without first obtaining the prior written consent of the Company or, if such property is not owned by the Company, the owner of such intellectual property or proprietary rights. You agree to not remove, obscure or otherwise alter any proprietary notices appearing on any content, including copyright, trademark and other intellectual property notices. Rollerderbyathletics.com and RDA respects the intellectual property of others, and we ask our users to do the same. Each user is responsible for ensuring that the materials they upload to the Rollerderbyathletics.com and RDA Site do not infringe any third party copyright. Rollerderbyathletics.com and RDA will promptly remove materials from the Rollerderbyathletics.com and RDA Site if properly notified that the materials infringe a third party’s copyright. In addition, Rollerderbyathletics.com and RDA may, in appropriate circumstances, terminate the accounts of repeat copyright infringers. The Copyright Act of Canada shall govern copyright and intellectual property disputes or claims arising out of or related to this Agreement. The exclusive means of resolving any dispute or claim arising out of or relating to this Agreement (including any alleged breach thereof), the Service, or the Site shall be BINDING ARBITRATION administered by the British Columbia Arbitration and Mediation Institute. 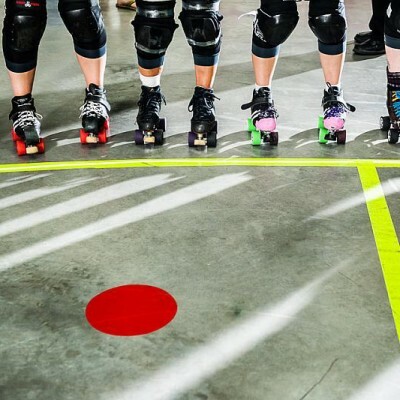 The one exception to the exclusivity of arbitration is that you have the right to bring an individual claim against Rollerderbyathletics.com and RDA in a small-claims court of competent jurisdiction. 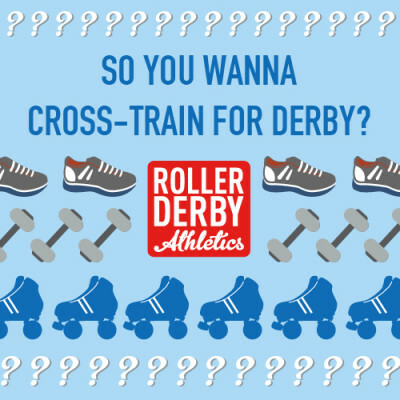 But whether you choose arbitration or small-claims court, you may not under any circumstances commence or maintain against Rollerderbyathletics.com and RDA or its affiliates any class action, class arbitration, or other representative action or proceeding. By using the Site or the Service in any manner, you agree to the above arbitration agreement. In doing so, YOU GIVE UP YOUR RIGHT TO GO TO COURT to assert or defend any claims between you and Rollerderbyathletics.com and RDA or its affiliates (except for matters that may be taken to small-claims court). YOU ALSO GIVE UP YOUR RIGHT TO PARTICIPATE IN A CLASS ACTION OR OTHER CLASS PROCEEDING. Your rights will be determined by a NEUTRAL ARBITRATOR, NOT A JUDGE OR JURY. You are entitled to a fair hearing before the arbitrator. The arbitrator can grant any relief that a court can, but you should note that arbitration proceedings are usually simpler and more streamlined than trials and other judicial proceedings. Decisions by the arbitrator are enforceable in court and may be overturned by a court only for very limited reasons. Any proceeding to enforce this arbitration agreement, including any proceeding to confirm, modify, or vacate an arbitration award, may be commenced in any court of competent jurisdiction. In the event that this arbitration agreement is for any reason held to be unenforceable, any litigation against Rollerderbyathletics.com and RDA (except for small-claims court actions) may be commenced only in the federal or state courts located in British Columbia, Canada. You hereby irrevocably consent to the jurisdiction of those courts for such purposes and you irrevocably waive any right to a trial by jury. This Agreement, and any dispute between you and Rollerderbyathletics.com and RDA, shall be governed by the laws of the province of British Columbia, Canada without regard to principles of conflicts of law, provided that this arbitration agreement shall be governed by the British Columbia Arbitration Act. INTERPRETATION; SEVERABILITY; WAIVER; REMEDIES: Headings are for convenience only and shall not be used to construe the terms of this Agreement. If any term of this Agreement is found invalid or unenforceable by any court of competent jurisdiction, that term will be severed from this Agreement. No failure or delay by Rollerderbyathletics.com and RDA in exercising any right hereunder will waive any further exercise of that right. Rollerderbyathletics.com and RDA’s rights and remedies hereunder are cumulative and not exclusive. SUCCESSORS; ASSIGNMENT; NO THIRD PARTY BENEFICIARIES: This Agreement is binding upon and shall inure to the benefit of both parties and their respective successors, heirs, executors, administrators, personal representatives, and permitted assigns. You may not assign this Agreement without Rollerderbyathletics.com and RDA’s prior written consent. No third party shall have any rights hereunder. Nothing herein shall limit Rollerderbyathletics.com and RDA’s right to object to subpoenas, claims, or other demands. MODIFICATION: This Agreement may not be modified except by a revised Terms of Service posted by Rollerderbyathletics.com and RDA on the Rollerderbyathletics.com and RDA Site or a written amendment signed by an authorized representative of Rollerderbyathletics.com and RDA. A revised Terms of Service will be effective as of the date it is posted on the Rollerderbyathletics.com and RDA Site. This Agreement constitutes the entire understanding between Rollerderbyathletics.com and RDA and you concerning the subject matter hereof and supersedes all prior agreements and understandings regarding the same.